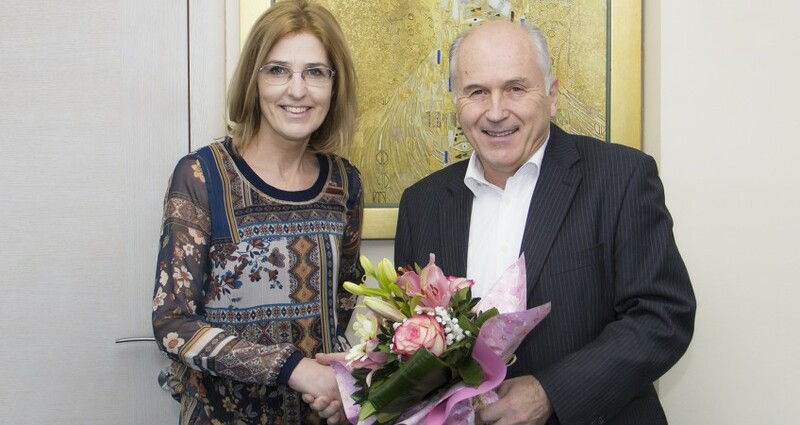 High Representative Valentin Inzko met today with the newly appointed Austrian Ambassador to Bosnia and Herzegovina, Ulrike Hartmann. The High Representative used this opportunity to inform Ambassador Hartmann about the current economic and political developments in the country, with special focus on the government formation process. The High Representative thanked Ambassador Hartmann for Austria’s continued support to Bosnia and Herzegovina’s post war recovery and development, as well as for Austria’s support to BiH’s European integration path. He also expressed his personal gratitude to Mrs Hartman, who served for several years as Head of the OHR’s Regional Office in Banja Luka for her commitment to a prosperous future for BiH.